On the 15th of January 2019, teachers and project team members from Slovenia met in Ljubljana at our first meeting. In the first part of the meeting mag. Gregor Cerar, the national coordinator of Eco-schools in Slovenia, presented the project to all participants. As we are already doing a great deal on the subject of biodiversity in the Eco-schools programme, some of the teachers have also presented examples of good practises and shared their experiences. In the second part of our afternoon workshop, we visited The Botanical garden nearby, where we had a guided tour. The University Botanic Garden in Ljubljana has existed since 1810. It's comprised of 10 thematic units: Arboretum, Plant system, Ecological groups, Ecogeographic groups, Greenhouse, Tropical glasshouse, Mediterranean plants, Thematic garden and Cultivation section. They also possess their own seed bank. Seeds of garden plants are collected for their own needs and also for exchange with other botanical gardens. 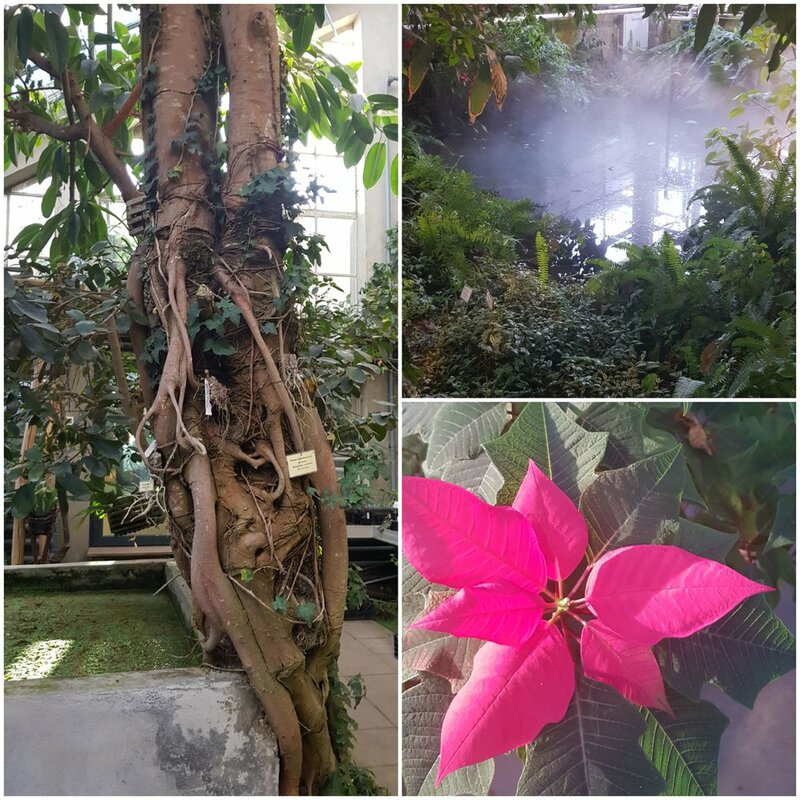 As our project gravitates around plants – especially around potted plants, we had a tour of the garden, we talked about Meditteranean plants and we also visited Tropical glasshouse. We received some usefull tips of how to use plants in our classrooms or in the school garden as a teaching aid. - We can bring Carnivorous plants in the classroom and we can learn about them – which conditions do they need for growth in nature, do they grow in Slovenia, what do they eat, we can observe them with magnifiers and then made some models from clay. - We talked about which plants are suitable for classroom growth and which are not. - We also received some usefull ideas about plants reproduction in classroom, etc. It was a very lovely and sunny day and we were all satisfied with the presentation and the tour around the Garden. We received some great ideas that we can use in our work. We're looking forward to our next meting in March.